Distance titles amongst those up for grabs as athletes get set for the Irish national indoor championships this weekend (February 17/18). 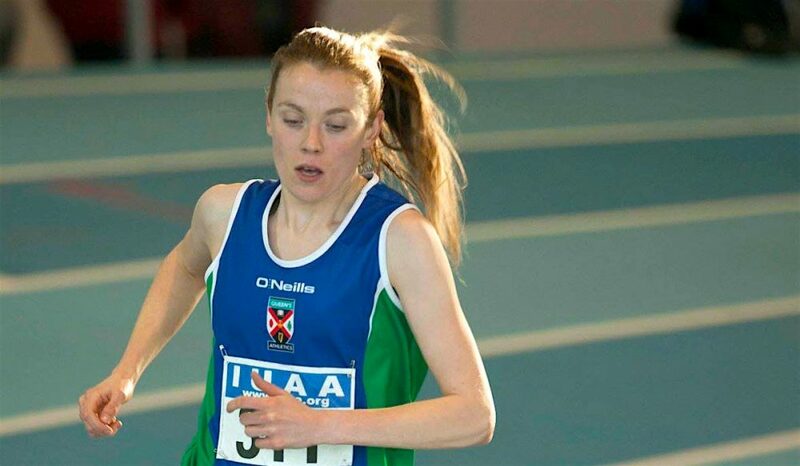 Emma Mitchell, who clocked a 3k road PB in Armagh last night, will be among the top Irish distance runners vying for titles at the National Indoor Arena in Abbotstown. Mitchell and Kerry O’Flaherty both ran at the Armagh Road Races and the pair are entered to race over both 1500m and 3000m this weekend. 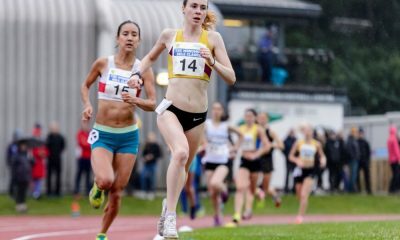 Last year’s 3000m saw QUB AC’s Mitchell finish fourth to Ciara Mageean, Michelle Finn and Fionnuala McCormack, and with the three Olympians not in action this weekend the 5000m and 1500m national outdoor champion will start as favourite. 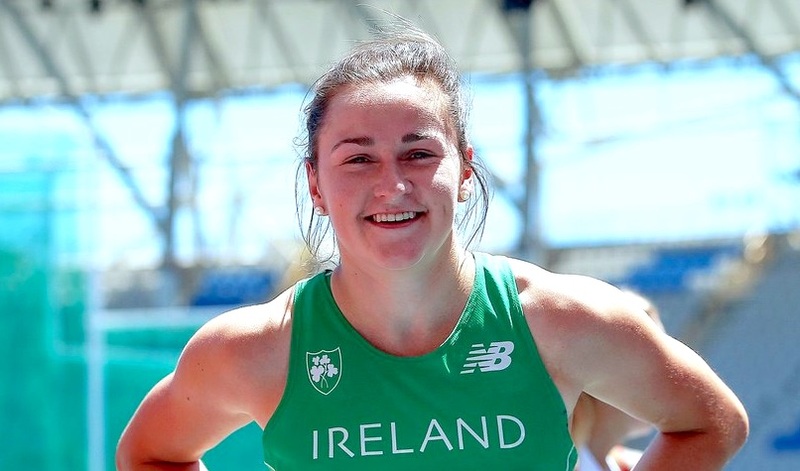 However, O’Flaherty, if she competes in both the 3000m and 15000m, will have a say, while the young talent of Sarah Healy cannot be discounted. At this month’s AAI Games the European Youth Olympics champion smashed her 1500m previous best with a time of 4:16.04 to break Ciara Mageean’s Youth and U20 indoor records. Newcastle AC’s O’Flaherty was the runaway winner in the 1500m last year with a five-second win over UCD’s Ellie Hartnett. The duo lineup again in the 1500m with Mitchell also expected to double up, while Amy O Donoghue (Emerald A.C), Nadia Power (Templeogue A.C.) and fourth place last year Rachel Gibson (North Down AC) will also be in the mix. 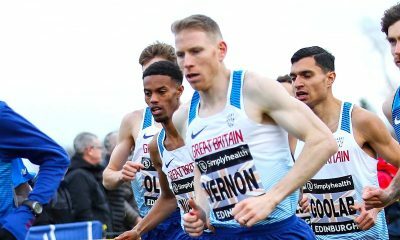 Defending champion Eoin Everard should start as favourite in the men’s 3000m but will face second-placed in 2017 William Maunsell (Clonmel) amongst his challengers. 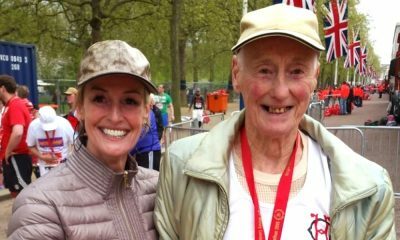 Elsewhere John Travers who ran a 14:16 5k road personal best in Armagh on Thursday will be expected to be challenging at the front, while Damien Landers (Ennis Track) and Scott Rankin (Folye Valley AC) are also on the start list. Kilkenny City Harrier Everard is also expected to compete in the 1500m and will face Kieran Kelly, the fastest 1500m runner on Irish rankings this season. 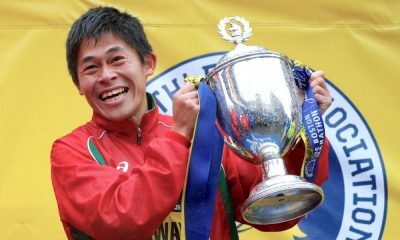 If defending men’s 800m champion Kelly were to win the 1500m he would bid to become one of the first athletes to win national medals over 400m, 800m and 1500m. While Danny Mooney (Letterkenny AC), a 14:43 runner in Armagh last night, is expected to challenge as will Garry Campbell (Dunleer). Kelly is down to defend his 800m title, but if Mark English competes he will be a strong favourite, while Alanna Lally (UCD) is the leading contender in the women’s 800m. In the race walks, Kate Veale, Alex Wright and Cian McManamon will all be in action. Elsewhere Olympic 400m hurdler Thomas Barr will drop down to 200m and could face Craig Newell (Ballymena & Antrim AC) and Marcus Lawler. Phil Healy who won the January European athlete of the month award has been in fantastic form this indoor season with a 52.08 400m in Vienna. The Bandon athlete will start as favourite in that event with Claire Mooney also among the entrants, while Andrew Mellon and Brandon Arrey are among the leading men over two laps. With Amy Foster (City of Lisburn), Joan Healy (Bandon), Ciara Neville (Emerald) and Molly Scott (SLOT) among the women’s 60m entrants, picking a winner is anyone’s guess and should make for exciting viewing. Marcus Lawler (St. L. O’Toole A.C.), Leon Reid (Menapians AC) and Jeremy Phillips (Clonliffe Harriers AC) face off in the men’s 60m race. Niamh Whelan (Ferrybank A.C.) will be favoured in the women’s 200m with Catherine McManus (Dublin City Harriers A.C.) Sinead Denny (Dundrum South Dublin A.C.) also on the top list this season. With an 8.29 this year Sarah Lavin (UCD) leads the 60m hurdles entrants, while Ben Reynolds (North Down AC) heads the men’s men’s field with 7.87. In the field events, the impressive 17-year-old multi-eventer Kate O’Connor competes in the long jump and Adam McMullen and Sommer Lecky also compete in their respected events. A full timetable of events can be found here while the provisional entry list can be found here.